Board games are the best, aren’t they? I’ve recently gotten hooked on Pandemic, and have always been a huge fan of backgammon. As an incorrigible fan of teenage vampire hunters, I also enjoy the Buffy board game, and am anticipating the upcoming release of the Firefly board game with glee. But instead of looking ahead to the production of some new, particularly geeky games, I’m going to look backwards, say about 5,000 years. That’s when archaeologists believe the first board game was played. A team from Ege University in İzmir, Turkey found 49 small painted stones believed to be game pieces in an ancient burial mound at Basur Hoyuk. 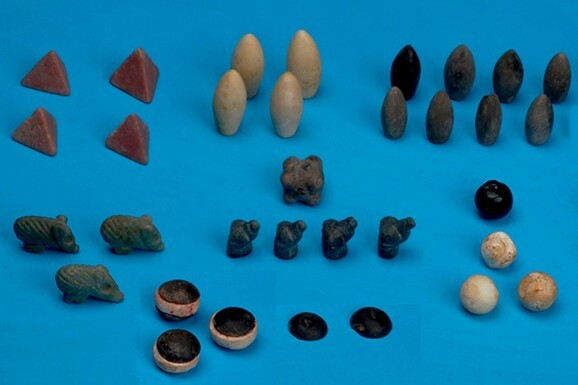 Some of the pieces are shaped like pigs and dogs, while others resemble pyramids, bullets, and tokens. This might sound like the beginning of a really old Monopoly set, but archaeologists believe the game more closely resembled chess, which provides a new perspective to interminability of the game. Some deteriorating sticks and wooden pieces were also found, but as yet, no accompanying board, dice, timers, or buzzers. Though researchers have yet to determine the strategy of the game, based on the number of stone pieces, their shape and distribution, the working theory is that the number four is somehow fundamental to the game. As archaeologists have long suspected, these new findings supports the notion that board games originated in the Fertile Crescent and in Egypt over 5,000 years ago, and that they were popular in Mesopotamia. Scientists believe the world’s oldest board game, Senet, hails from Egypt. Why didn’t I learn anything useful like that in history class? Previous discoveries of game boards from approximately 2500 B.C. have been made near Nasiriya in Iraq. Researchers call the game the “Game of Twenty Squares” (very inventive name there, guys), and related tokens were found organized by rows in alternating colors. Previous discoveries aren’t nearly as elaborate as the most recent one, which was recovered from a gravesite approximately 7,000 years old and located between Mesopotamia and East Anatolia. 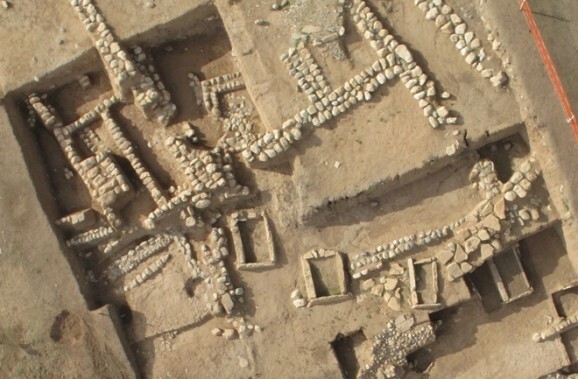 The tombs also contained pottery, spearheads, and other artifacts. Despite evidence to the contrary, I choose to believe that the recently recovered pieces are actually part of an elaborate ancient Dungeons and Dragons type game. I’m waiting for them to find the rare 13-sided dice and a DM manual.